Luckily for you, if your washing machine is acting up, you don't have to go for long without using it. 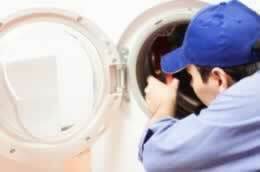 Washing machine repair in Saint Petersburg, FL professionals can help you out and fix it in a snap. These professionals can handle any type of washing machine. Hiring a professional is advisable since they will easily diagnose the problem and fix it. They will use genuine spare parts, so the appliance will work well after it has been fixed. You can count on our repairmen to arrive promptly and on schedule because we know that your time is valuable. When dealing with our Saint Petersburg, FL washing machine repair professionals, you can relax knowing that you are in safe hands. Our professionals are experienced and have worked on a lot of machines, carrying out washing machine repair and replacement. We operate in all areas of Saint Petersburg, FL.